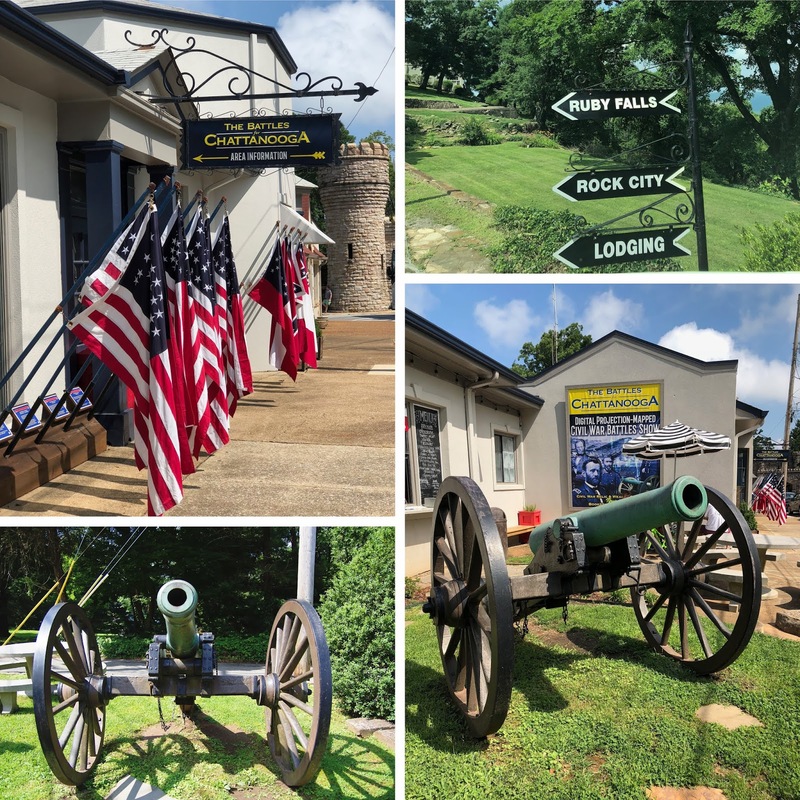 Lookout Mountain, Tennessee, is a southern icon that appears in wide view as you drive down the I-24 ridgecut coming into Chattanooga, Tennessee. 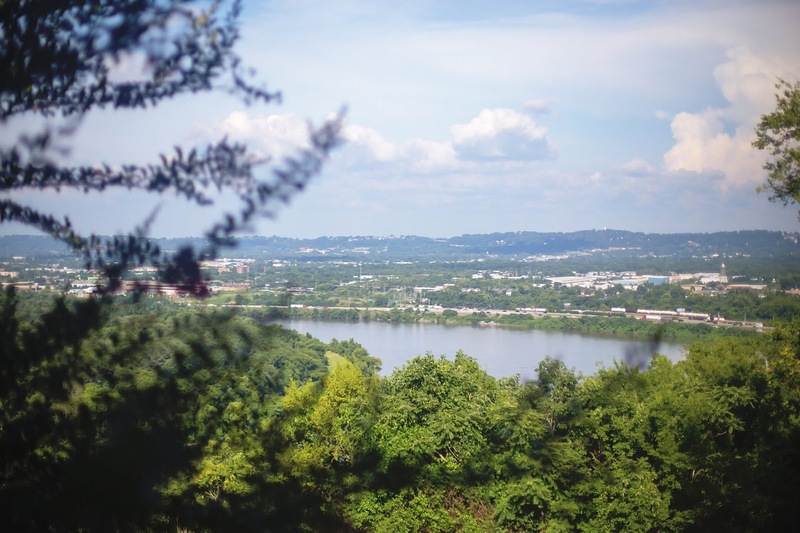 It's one of the key reasons Chattanooga got the nickname, the "Scenic City." This majestic mountain's base starts at the Tennessee River and runs into both Georgia and Alabama. 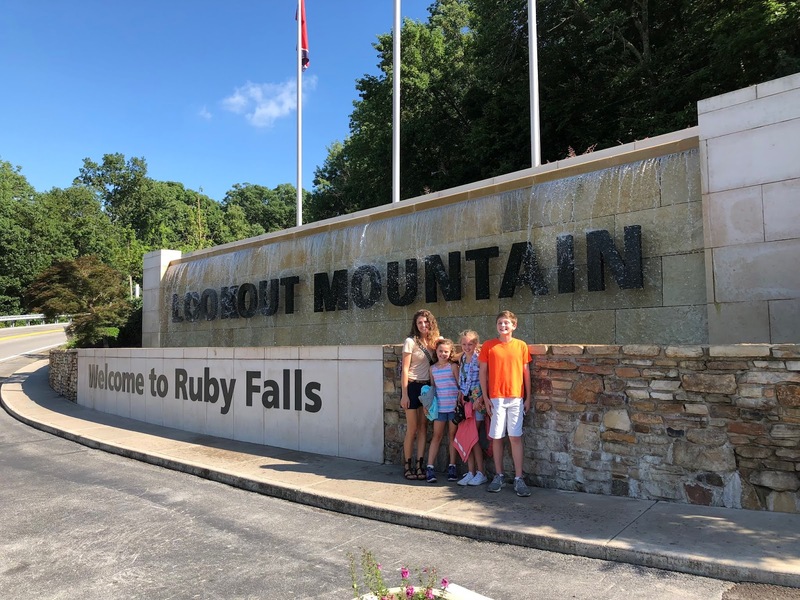 If you've ever traveled through Tennesse, you've surely seen "See Rock City" or "See Ruby Falls, Lookout Mtn" painted along barns and signs along the highways. I've seen these markers my entire life but had never visited these fun attractions until Angela & Matt Lanter came for a visit in 2013! My dear friend (and PR goddess) Meagan called us this summer and asked if we'd like to take a visit up the mountain. 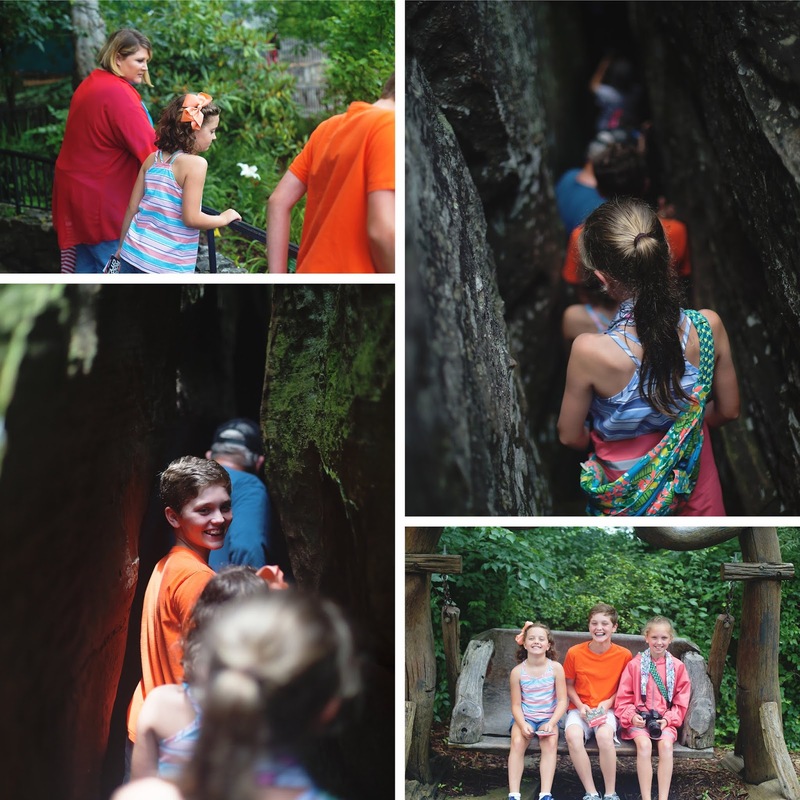 We knew the kids were old enough to take it all in and would love seeing all the sights. 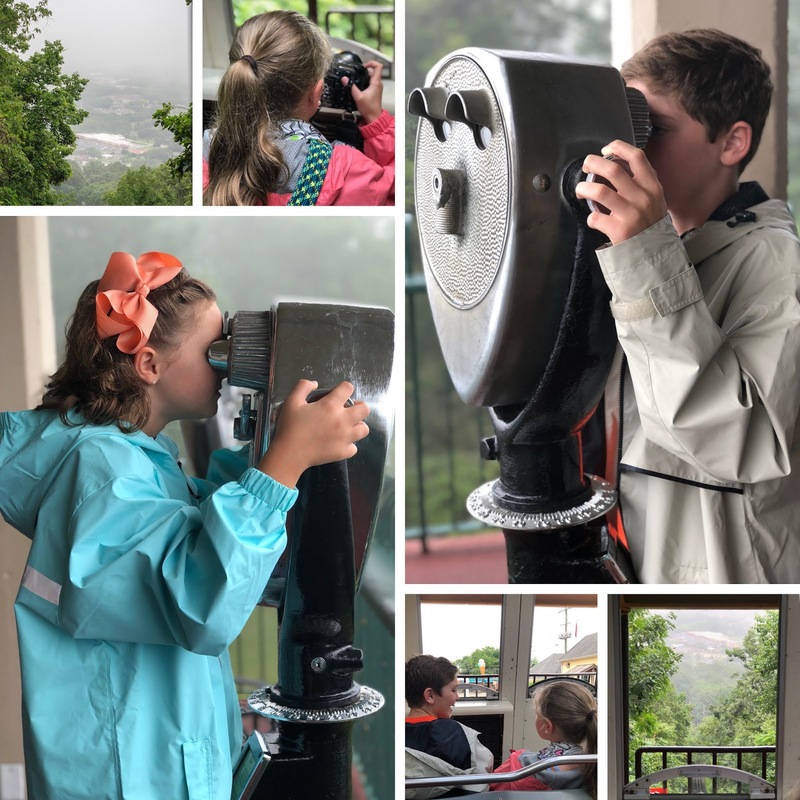 We started our journey at the base of Lookout Mountain at the iconic Incline Railway. 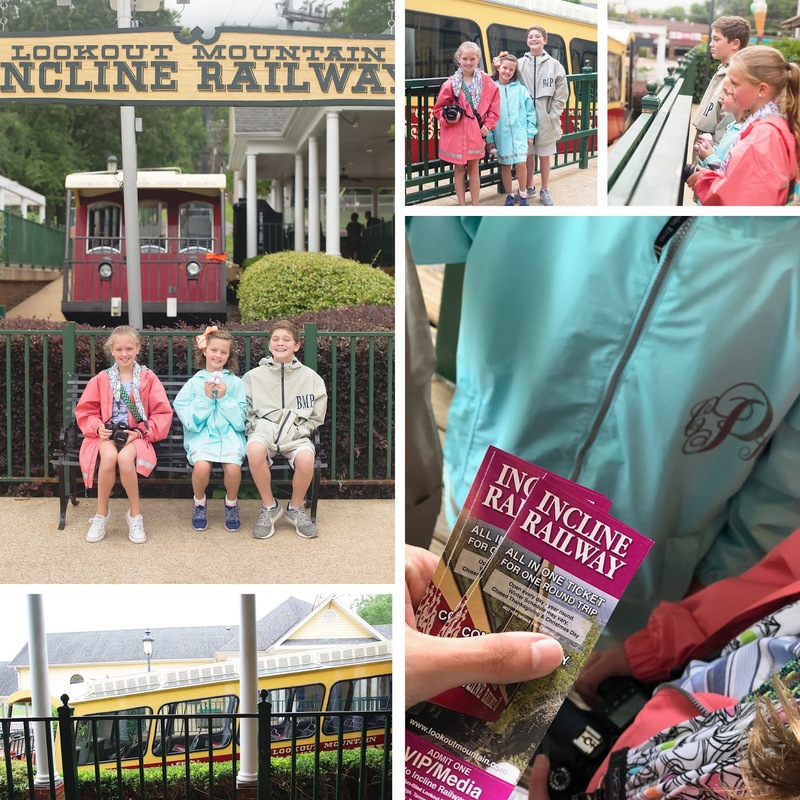 I remember, years ago, when some of my Ohio family came to visit, they rode the Incline Railway to the top of the mountain but this was my first time and it was so very cool. It was a very steep ride all the way to the top and I wish we would have had a clearer day to take some magnificent photos of the valley below! If you're traveling to Point Park or The Battles of Chattanooga, you have to take the Incline up! Also, make sure to bring your quarters for the view finders! 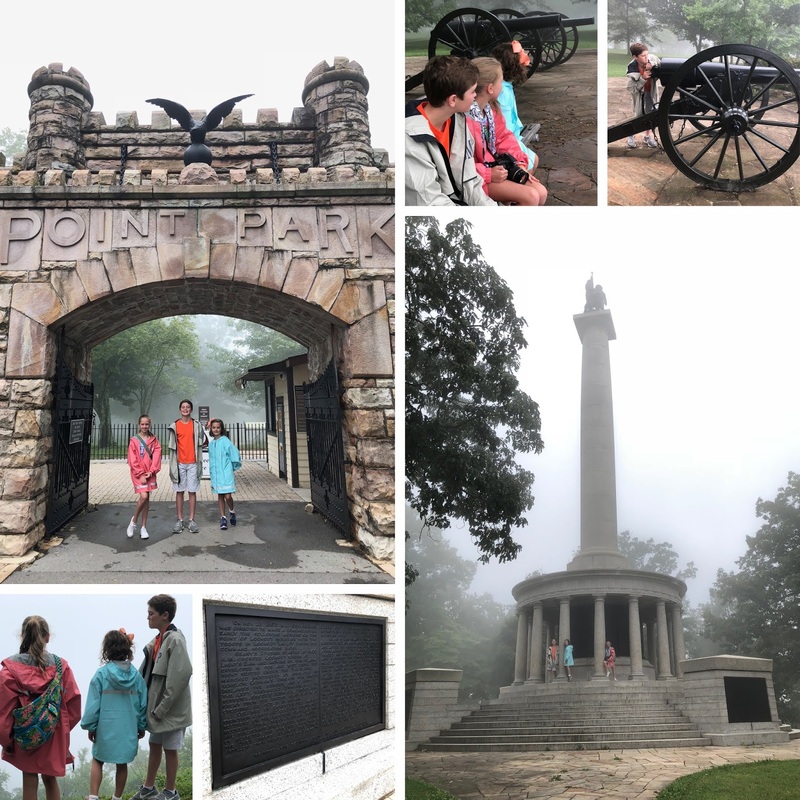 After a short walk down E Brow Road, you end up at The Battles for Chattanooga museum and Point Park, a 10-acre memorial park at the very top corner of the mountain. 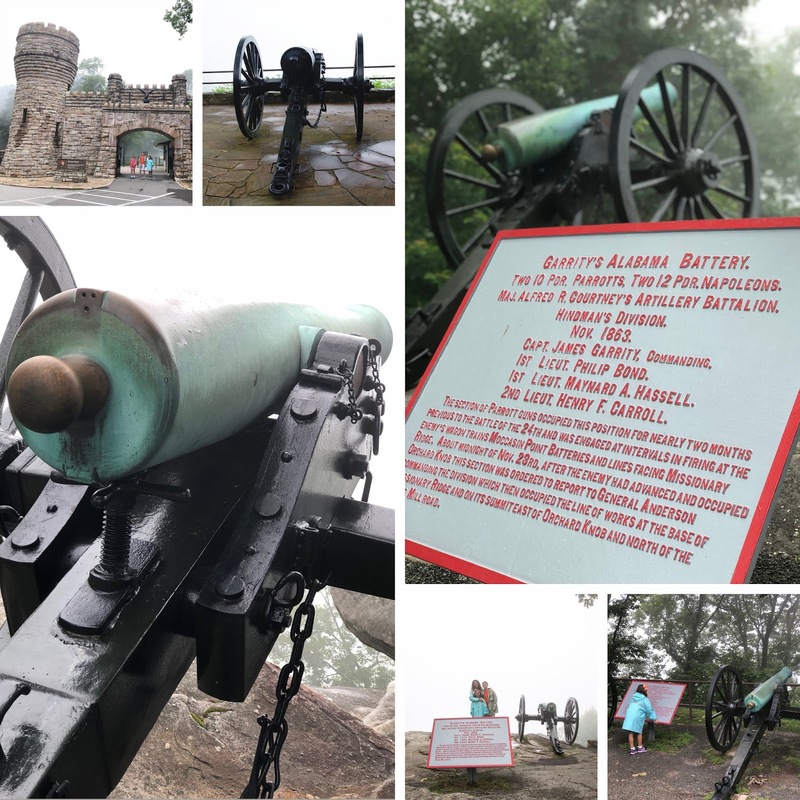 If your a history buff like me, you will love reading all the markers and learning more about the Civil War and where the "Battle Above the Clouds" took place. We loved that we could throw a little educational mix into our trip. We were too early for the Ranger tour but the reviews for that are great. We'll make sure to catch it next time. I do suggest hitting this later in the day as well. It was quite foggy the morning we went and we know the views would have been spectacular! Across the street is The Battles for Chattanooga museum and gift shop. After a quick drink and snack inside, we toured the relic and weapon collection and then watched the digital-projection mapped show. 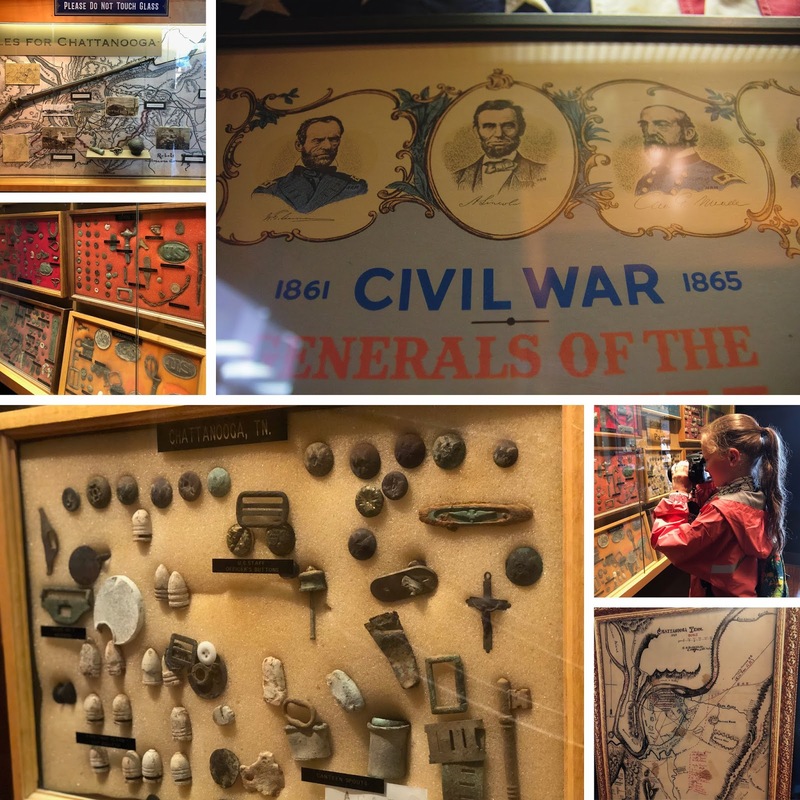 I had always known that Chattanooga was an important battleground for the war but I had never heard the story told like this before. 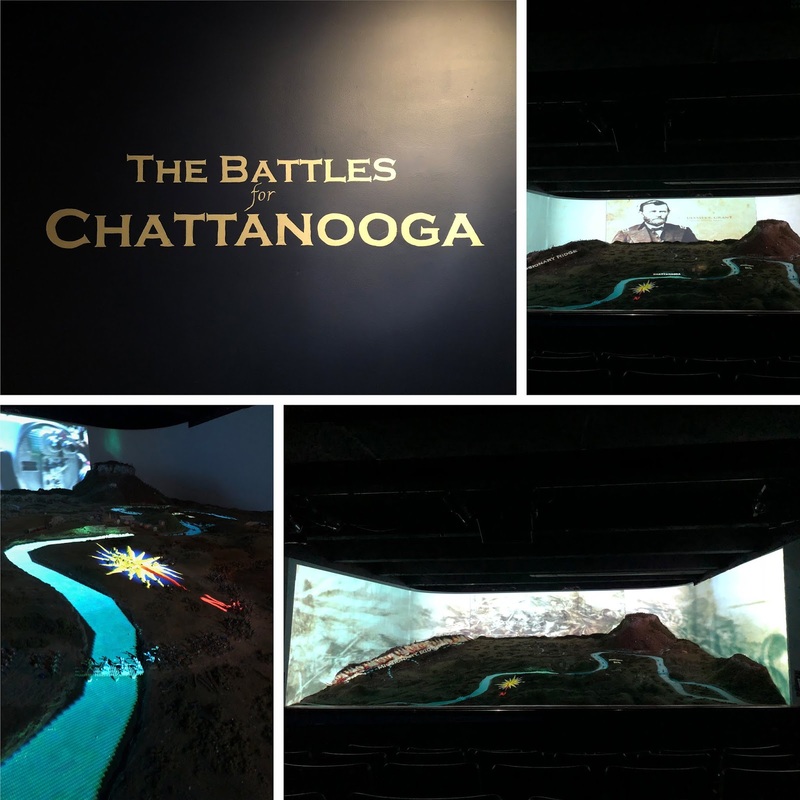 With a 3-D landscape display and projections to show all the events and areas that the battles took place, this was one of our favorite parts of the trip. It's shown in a small theater and is perfect for school-aged children! I do suggest going here first, before you hit Point Park. 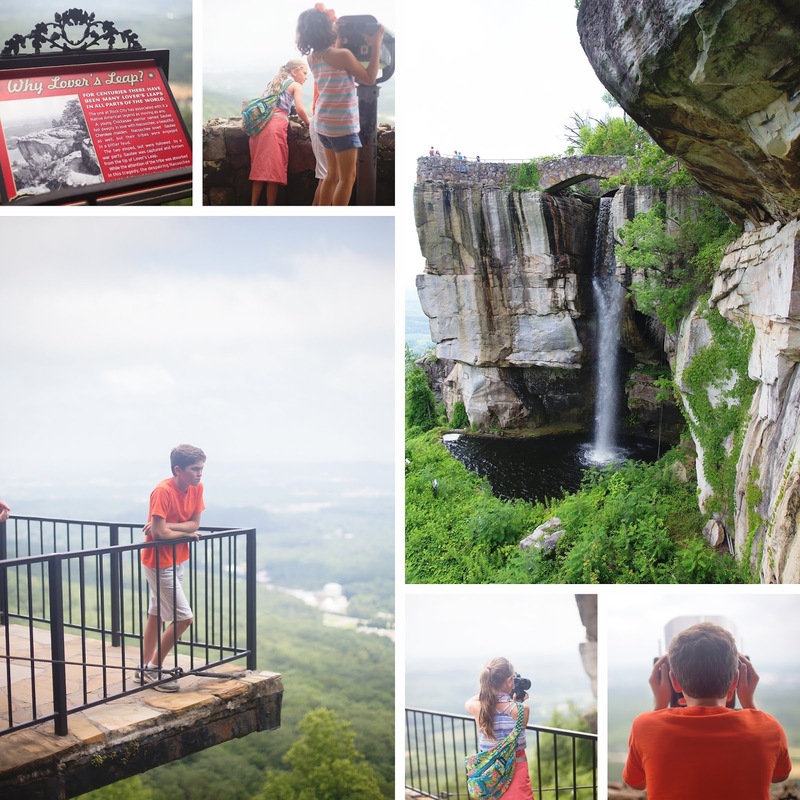 After a ride back down the mountain on the Incline, we drove up to Rock City next. 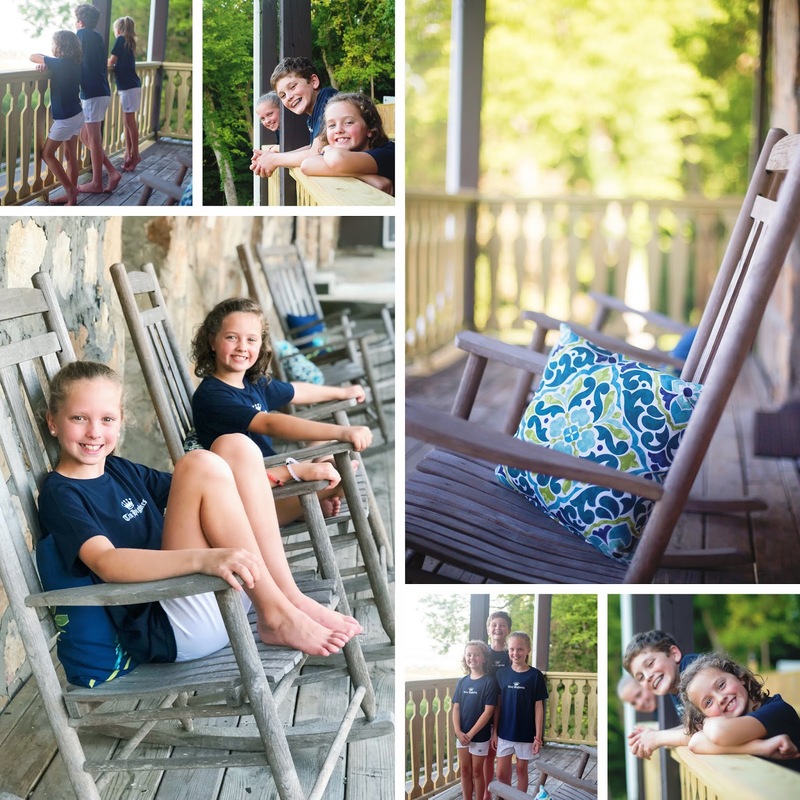 The kids were SO excited to finally visit and it did not disappoint! We knew we wanted to hit Café 7 before it got too busy so we started there and my, oh my, it definitely hit the spot! From the Choo Choo nachos to the Peach Cobbler, it made our bellies very happy! 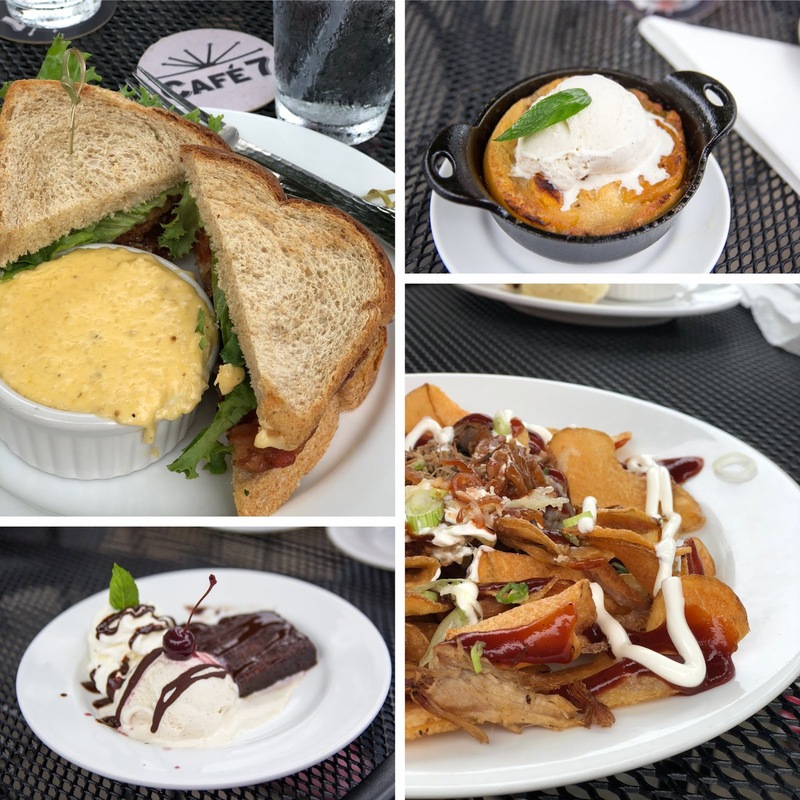 I went with the Fried Green Tomato BLT but substituted the avocado puree and chipotle mayonnaise for the pimento cheese, with a side of cheese grits (as suggested from my friend Meagan) and it was simply heaven on a plate. You can't get much more southern than that! 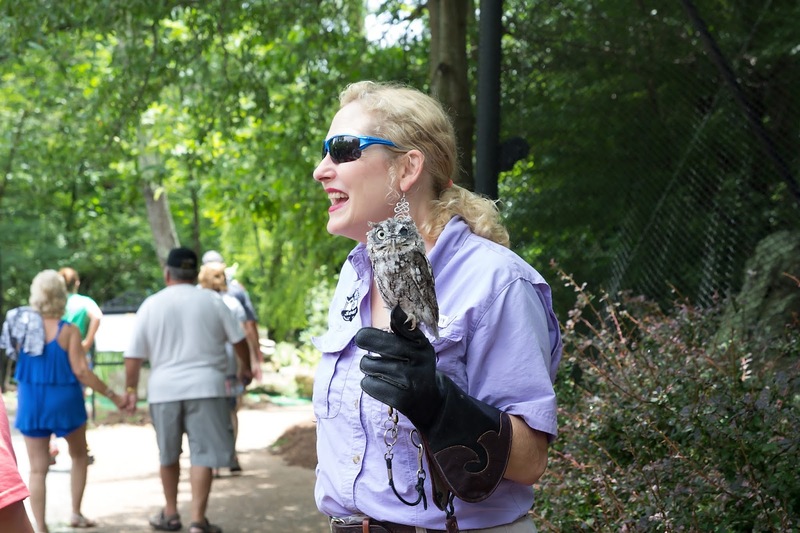 After "Seeing Seven States" we rushed to catch the "Birds of Prey" show in Rock City's Critter Classroom. I am so glad we didn't miss this as it was my daughter's favorite part of the trip. From seeing barn owls, to peregrine falcons, and even a bald eagle, it was incredible seeing these magnificent birds up close. They do let them fly around so if you're scared of birds, I'd stay outside the net. 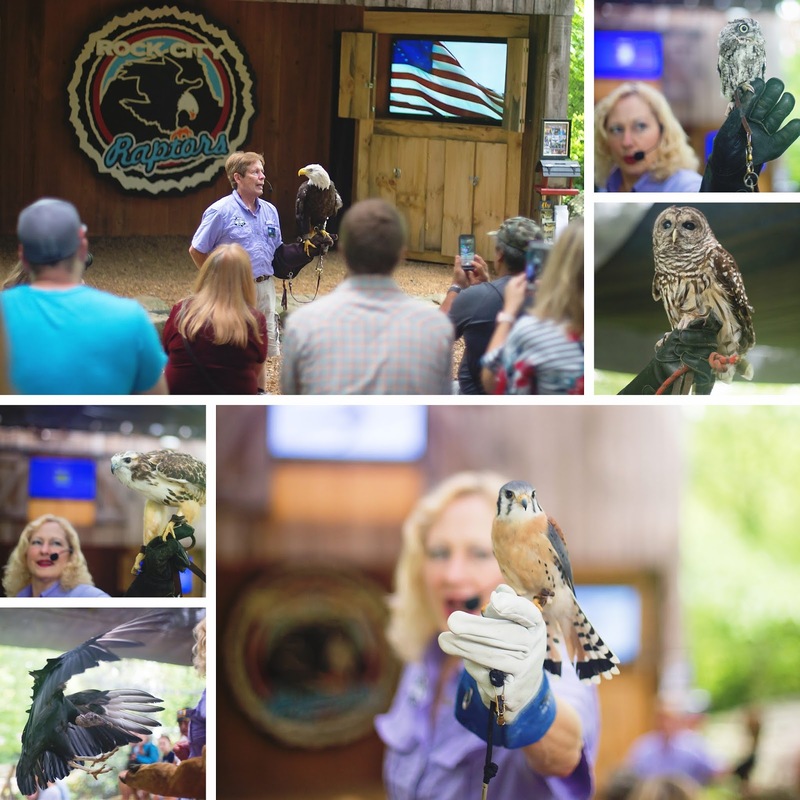 😉 We loved Cayce the vulture and Buddy the small screech owl (the little fella below with one eye), but Gilbert, the colorful American kestrel was my favorite. Isn't he gorgeous?! 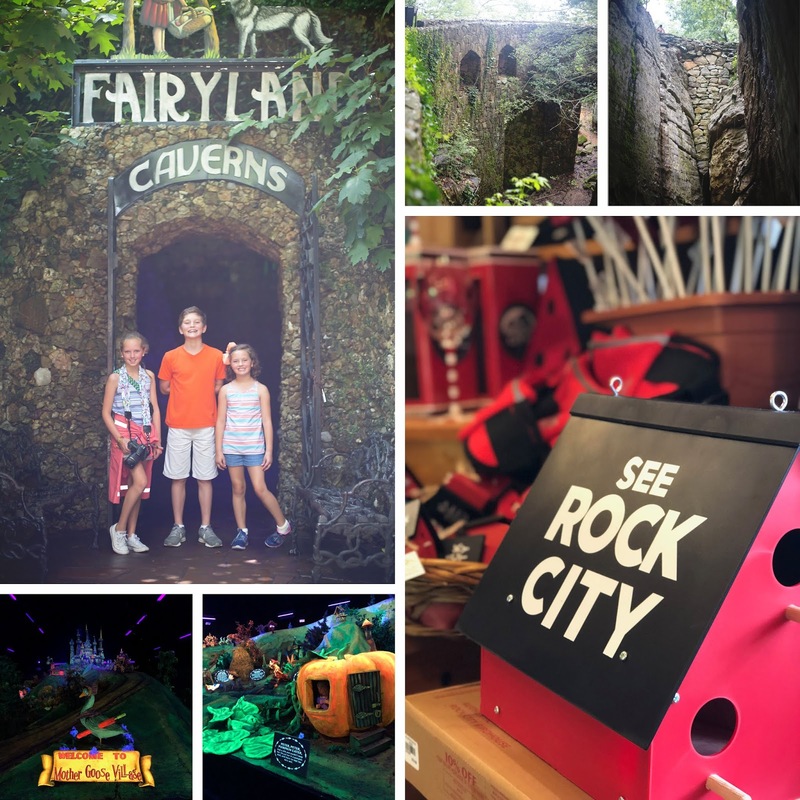 We wrapped up our Rock City tour as we squeeeeeezed through "Fat Man's Squeeze", gazed the beautiful scenery and waterfall at Lover's Leap, and toured magical Fairytale Caverns. 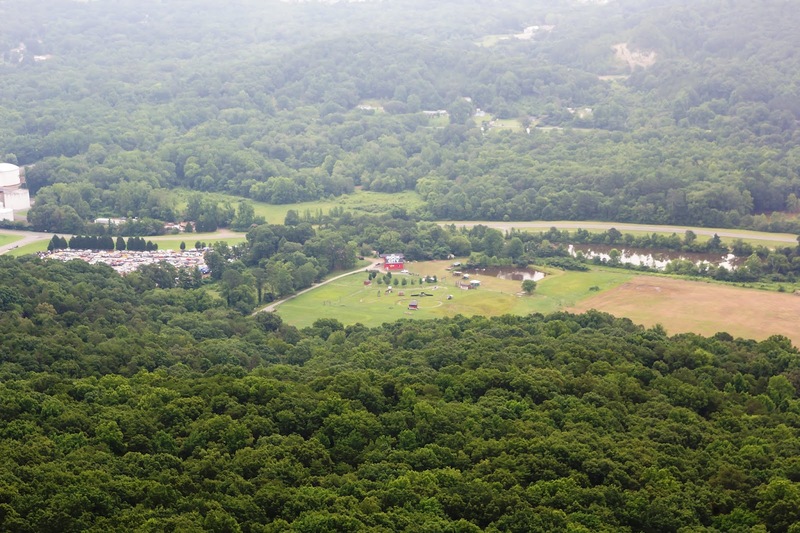 The views from Rock City are simply spectacular. We did, somehow, miss the Swing-A-Long bridge but we'll make sure to hit that next time. 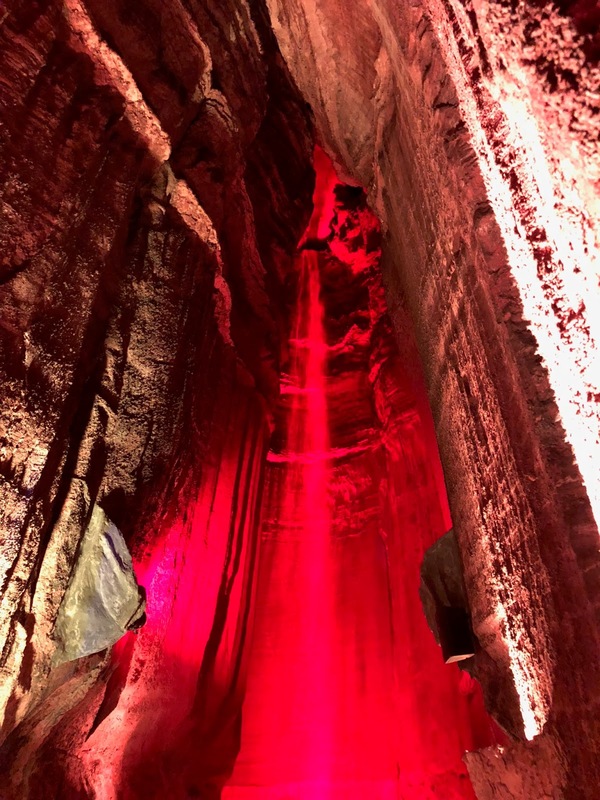 Ruby Falls is simply a wonder. 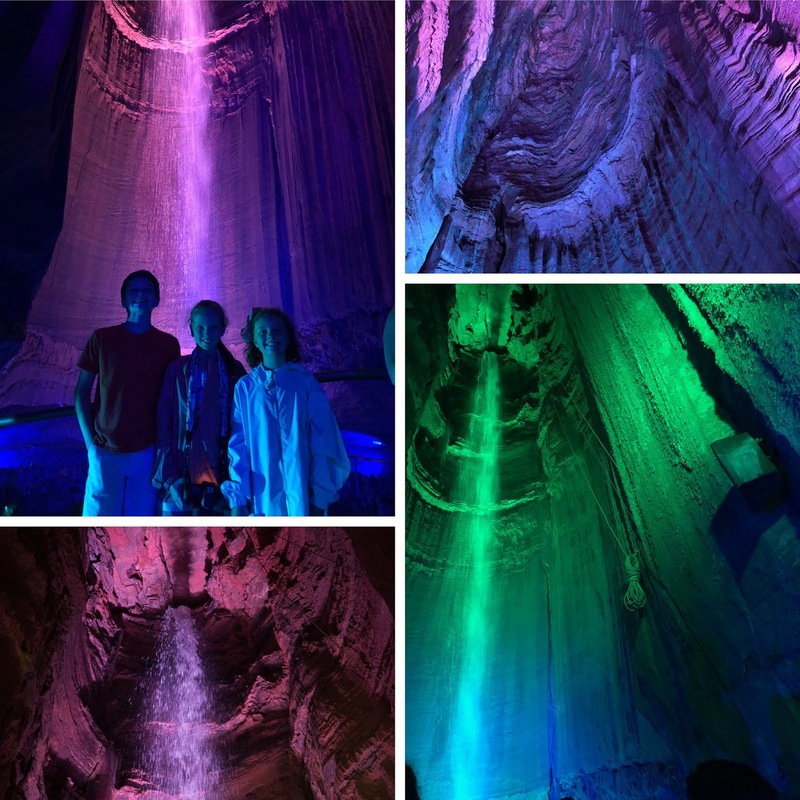 For over 89 years, Ruby Falls has been a main attraction in Chattanooga and it's no wonder why. 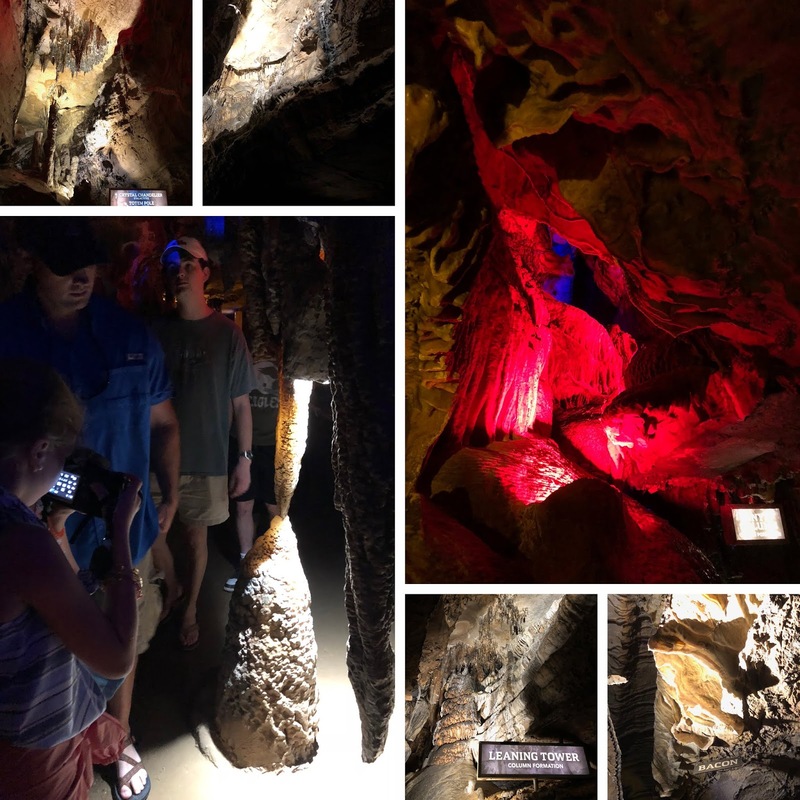 Home of the tallest and deepest underground waterfall open to the public in the United States, it's surrounded my astounding cave formations and is a beautiful sight to behold. After traveling down 26 stories in an elevator you reach a slim path that will take you deep into the mountain. 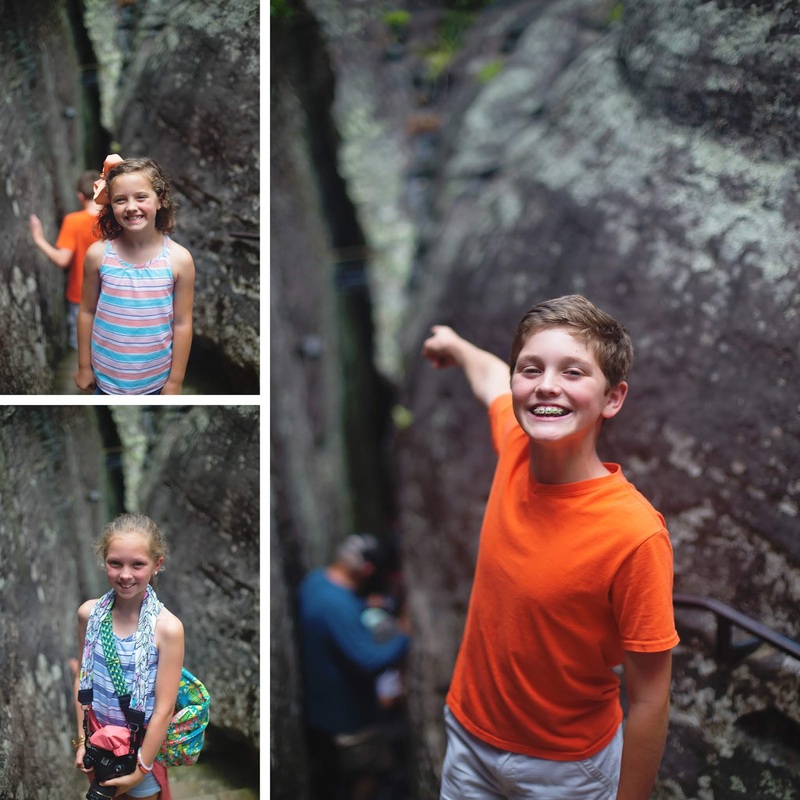 You'll follow the path that discoverer Leo Lambert took when he found the waterfall in 1928! Named after his wife Ruby, the 145 ft waterfall is simply magnificent when illuminated by the light show. To this day, they still aren't sure where the water comes from! It can be a tight squeeze and a little slippery at times so make sure to wear good shoes and a coat isn't a bad idea either as it stays around 60 degrees down there all year long. 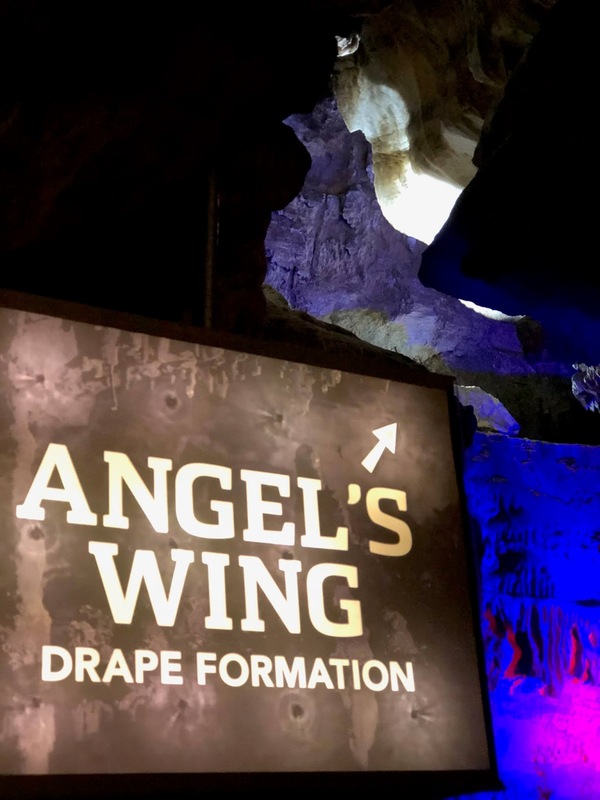 Ruby Falls recently went through a renovation with new amenities and beautiful new gift shop. A new feature is their timed-entry ticketing, which means you can purchase your tickets ahead of time and not wait in line with your little ones. 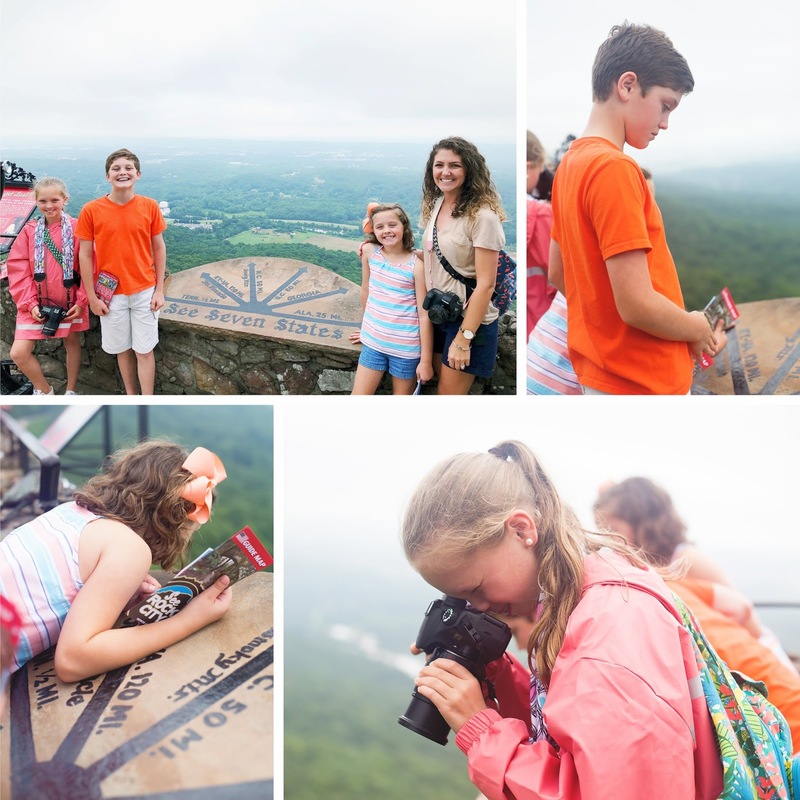 Make sure you climb up to the top of The Lookout Mountain Tower see see a spectacular view of the Tennessee River and the city of Chattanooga. So gorgeous! 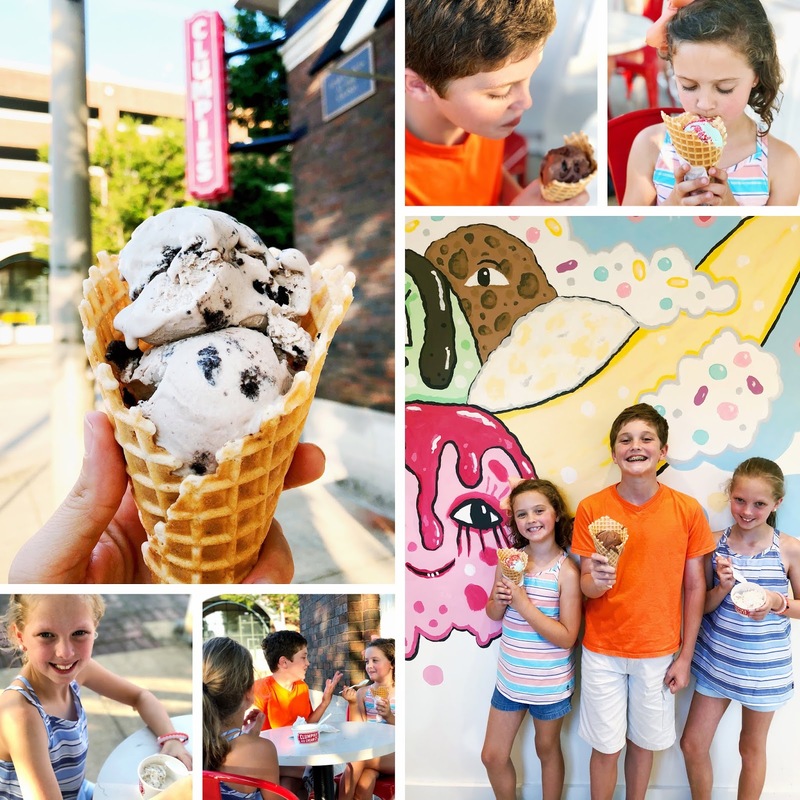 After a quick ride down the mountain, we grabbed a bite to eat and headed to our favorite ice cream spot, Clumpies. 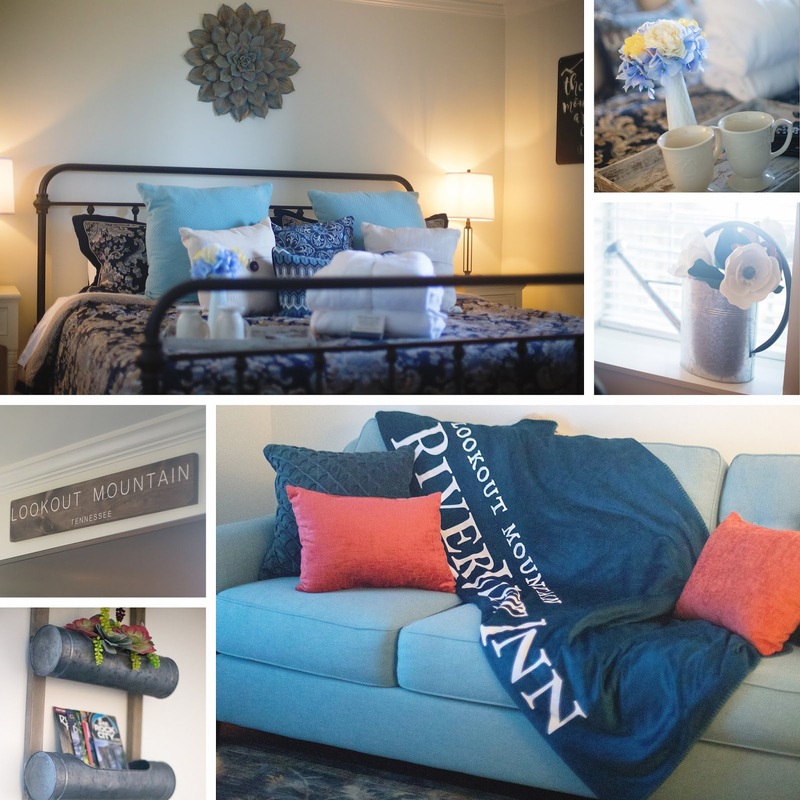 With many locations spread throughout the city (and one on the mountain) we decided to try the brand new location near the Chattanooga Choo Choo. We loved it's cute mural wall and outside seating. A treat was well-deserved after a full day of sight-seeing! Cookies n' cream in a waffle cone. 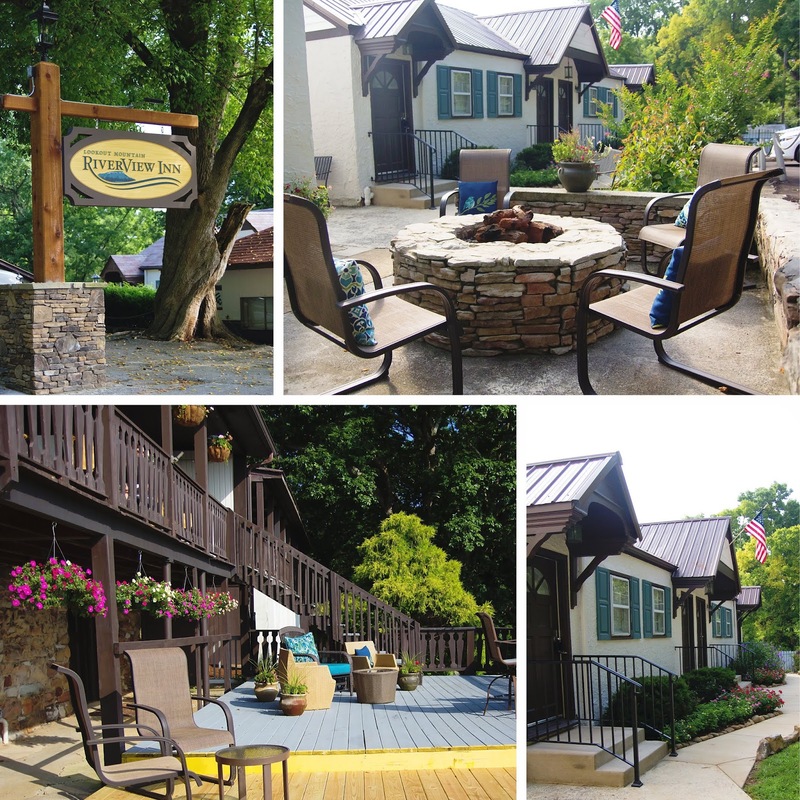 We ended our trip with a relaxing stay at the newly renovated Lookout Mountain RiverView Inn. 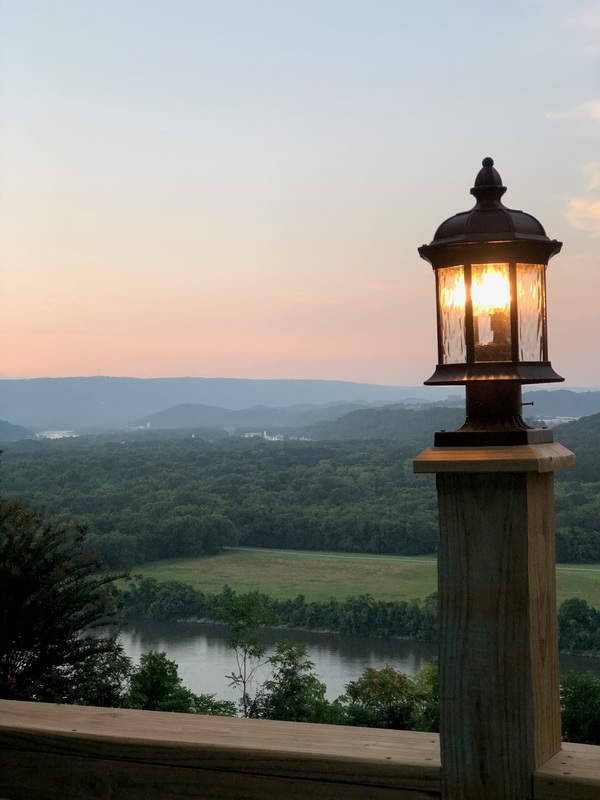 This adorable bed and breakfast is just minutes away from Ruby Falls and the views from the balcony are simply spectacular. We stayed in the two room Hillside Suite it was perfect after a long day. Our favorite part was definitely the balcony and all the gorgeous views. Give me a cup of coffee & a good book and I could stay out there all day. 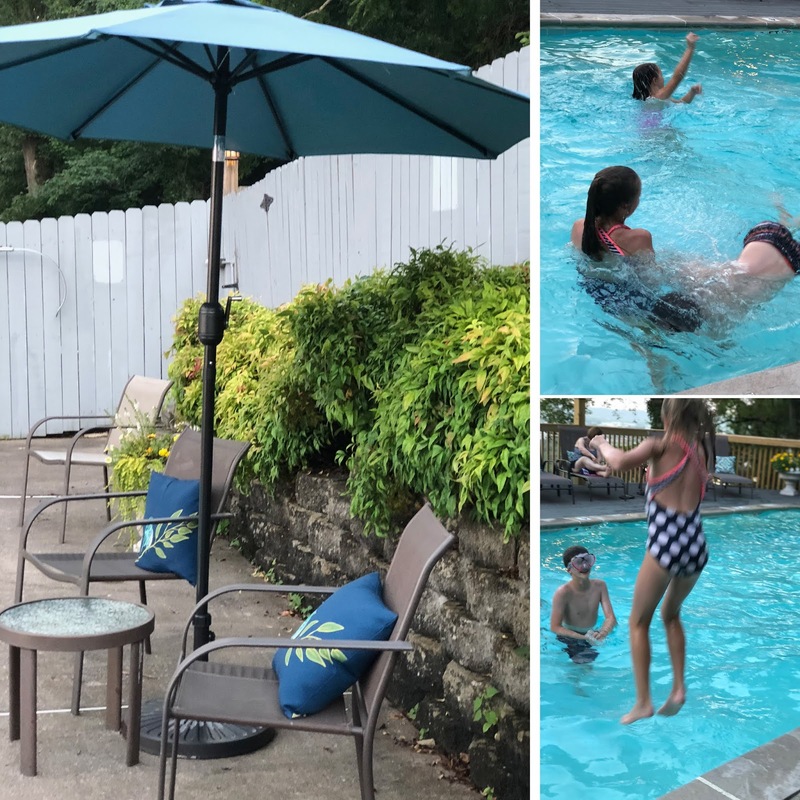 The kiddos definitely loved the pool but I believe it was the continental breakfast that they loved the most! 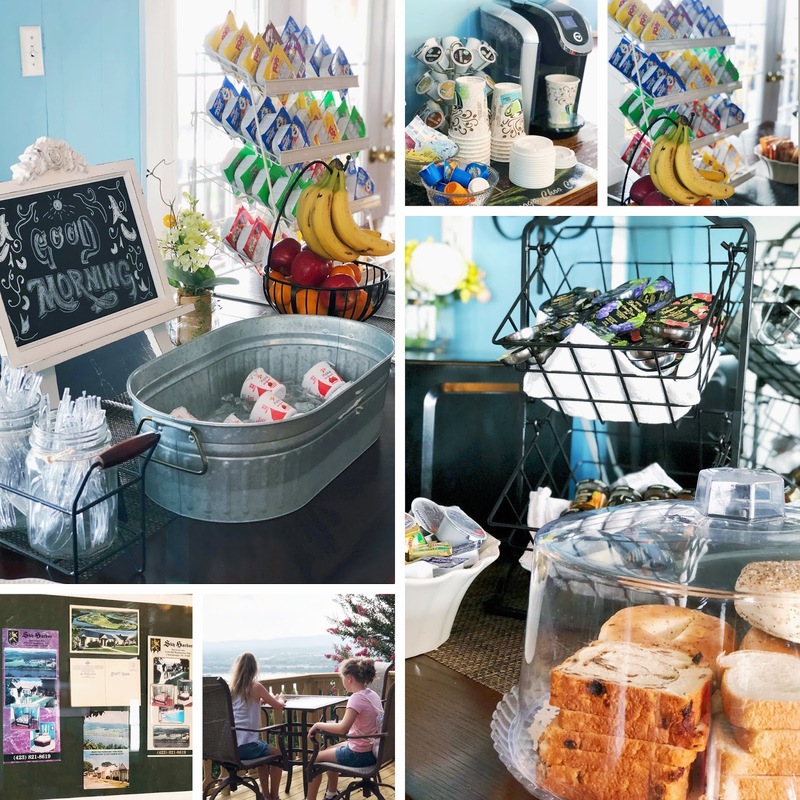 From cereal, to bagels and yogurt, they were in heaven! 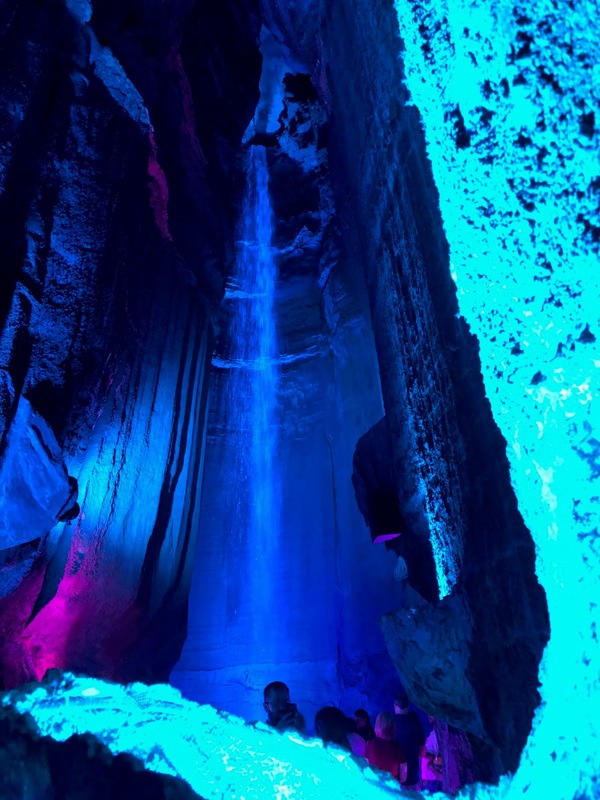 A HUGE thank you to Rock City for sending us on this wonderful trip and many thanks to Meagan for setting everything up and being and amazing guide! We enjoyed visiting and eating dessert with you friend! 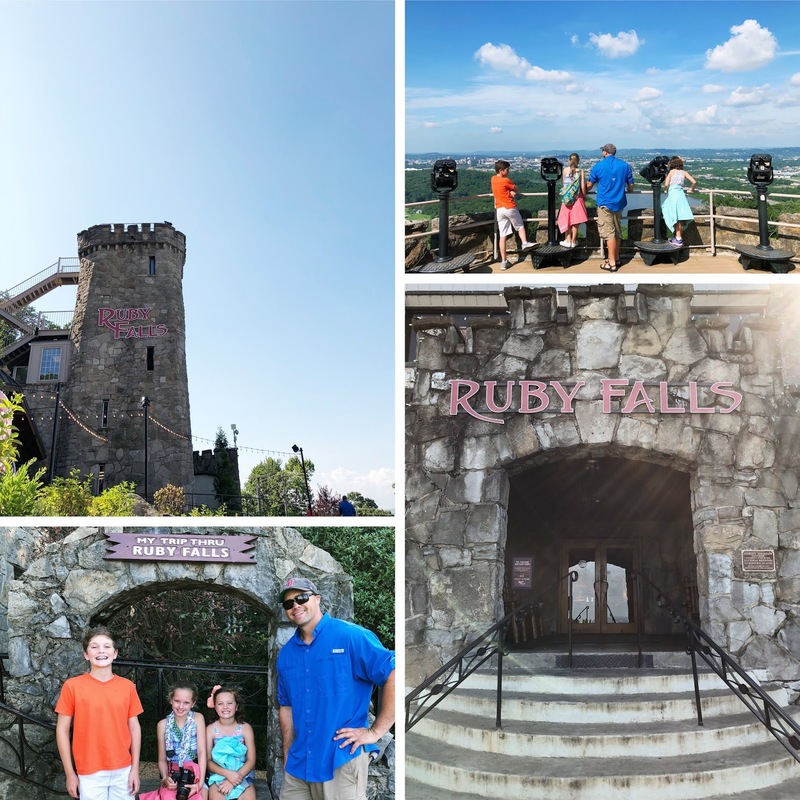 Another big thanks to Lara, Beth, and Missy at Ruby Falls for all your help and support! It was a pleasure meeting you all. 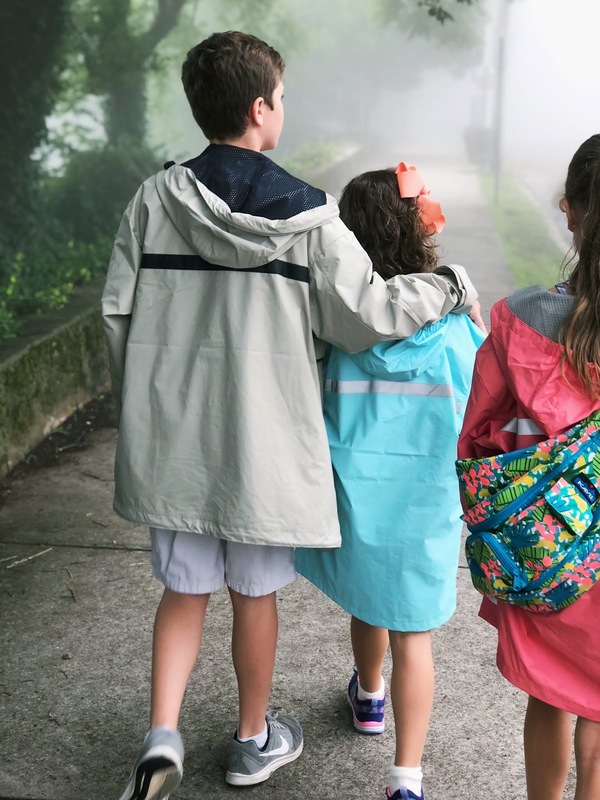 Thanks and hugs to Charles River Apparel for keeping us dry and warm with our wonderful raincoats and to Royal Highnies (a local Chattanooga business 🙌🏻) for the cozy jammies and robe for our overnight stay! Love y'all so much!